Jordan Hill - Animation, Illustration, and Fiber Art: Storyboards: "Grandmother"
Here's a new set of boards I worked on mostly earlier this year and finished up last month. 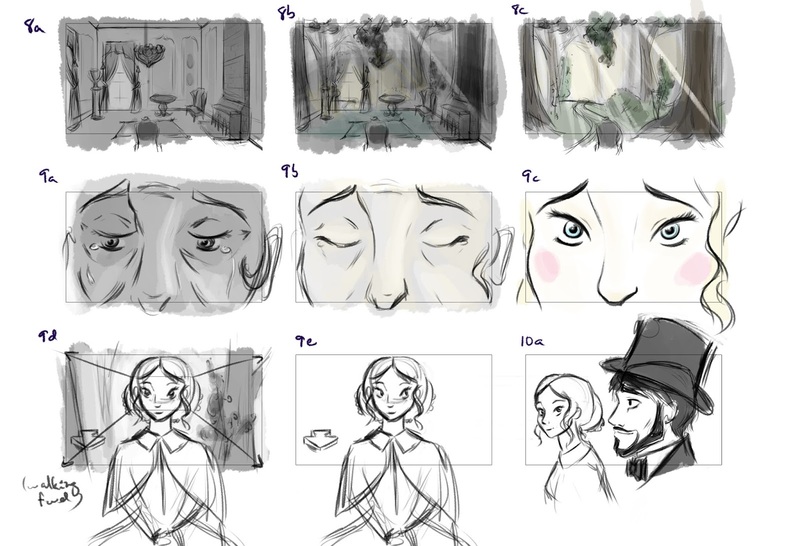 This is an adaptation of Hans Christian Andersen's short story "Grandmother" (which is easy enough to find online if you want to compare my boards to the original story!) I believe this is the first set of boards I've done that's an adaptation of something else or otherwise not an original story of mine. Check out the storyboard section to see the rest!